Don't miss this fantastic home that has everything to offer. 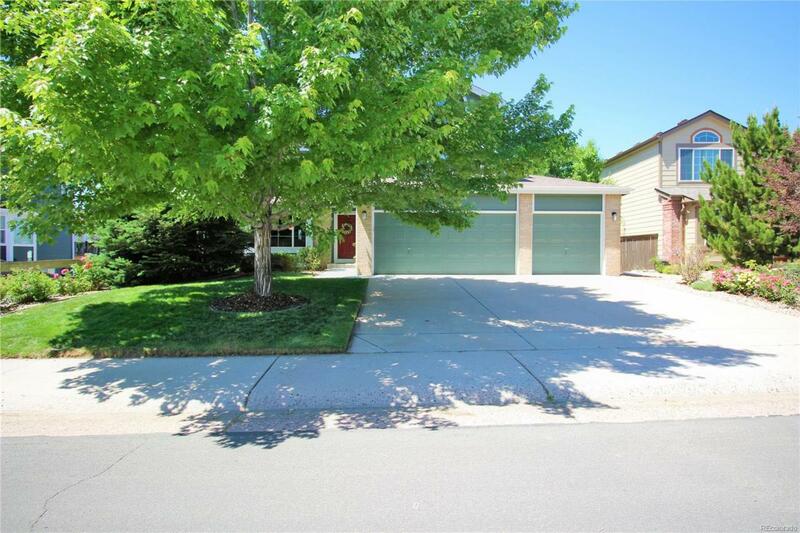 4 bedrooms in Highlands Ranch. Great curb appeal with mature trees. Gorgeous wood floors, open floor plan, vaulted ceilings, bay window, brick fireplace. Kitchen has all stainless steel matching appliances, inset lighting, island and extra eating area. Lots of natural light from the many windows. Landscaped backyard with wooden deck and covered patio perfect for entertaining family and friends. Backs to green space with bike/walking path. This gem won't last long, book your showing today!